What are the chances you will make your way to tour Tanjung Pinang, Indonesia? 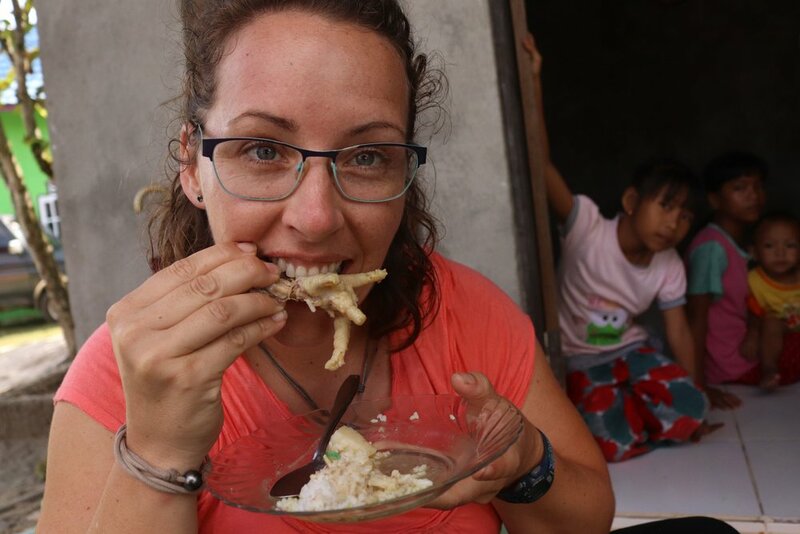 I hope you do, but if it seems unlikely, this blog post will give you a taste of this friendly, off-the-beaten-path city of Indonesia. Around nine the next morning, Madi arrives to pick us up and take us to shore on the Kumai side of the river. We park next to an enormous wooden boat, the scale of which boggles the mind. Imagine the trees required to build those beams! For the record, chicken feet really do taste good. -S.
Source: Where Are Your Babies? In which our heroes collide with a whale. No kidding.